The choice of 3D modeling software used on a project can greatly define the resulting quality of the designs. Currently, the market can be considered flooded with various applications, but not all are ideal for beginners. Choosing the right software for your first project is a decision that shouldn't be made on a whim, and it's recommended that you first compare prices and interfaces, consult a few friends, read online reviews, determine the functions and your purpose, and ask the right questions, among others. It is a difficult choice, but certainly an important one. Here is a brief guide that beginners can use to choose the best program. As a beginner, you are better off with an application that is easy to learn and use. If the learning curve is too steep, don’t take the risk. Find software with a friendly interface. 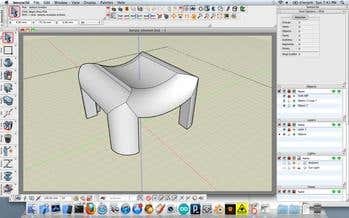 One of the best user-friendly 3D modeling applications for beginners is Sketchup. It has a free version and offers amazing renderings and animations with awesome tools for creating geometric objects. Note that tools with complicated feature sets might be powerful, but may also require advanced skills to use. Don’t expect to learn everything in a day, so take it one step at a time and concentrate on the basics before moving on to more complicated functions. Most 3D modeling packages may not instantly fit your requirements or level of expertise, so feel free to try as many as possible. Even with its steep learning curve, Blender is still viewed by many as a great tool for beginners. It has one of the largest online communities, where users share their experiences and design tips. You can design full 3D games and even edit videos with Blender. Other significant features include photorealistic rendering, animation, and sculpting. As a learner, you don’t want to delve into all the features – try to patiently learn one at a time. 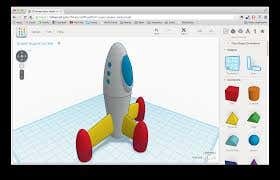 With some basic training in 3D modeling, you might find another free online application such as Tinkercad very useful. It is a fast browser/web-based tool compatible with all major browsers. It offers designers cloud storage of all designs, and is super fast. It also has an active online community ideal for those who want to learn. The intended purpose will determine the choice of your 3D modeling software. Ask yourself -- is it for personal or commercial use? If you would like to learn for fun, then a trial or free version of most commercial tools can serve the purpose, as it's not really necessary to spend a lot of money on something you plan to do as a hobby. Get free or trial versions of AutoCAD, Blender, Maya, and Tinkercad, among others, to learn the ropes. 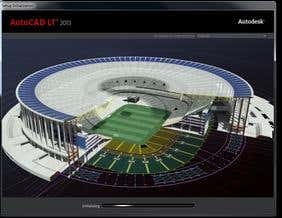 You can later upgrade to full versions of the above, especially AutoCAD for professional use. The purpose of creating the model should guide your decision. Not all software is good for all models. 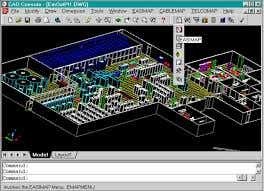 There are cases when Computer Aided Design (CAD) software cannot be relied on to come up with a complete product. The same applies for models designed for mass production, where computer graphics (CG) software may lack the requisite dimensional control to guarantee the creation of complete real world parts. Always approach your search with an open mind, studying the strengths and limitations before downloading or buying 3D modeling software. Creating digital content is fun and very satisfying, and it's pretty easy to find a myriad of applications that make 3D modeling possible for everyone who wants to try it. Carefully study the market and scan for software that can serve your purpose. You should also think about future use even as you search for the best program for you. Take the time to understand the various facets of 3D modeling to find the right software for the right job.